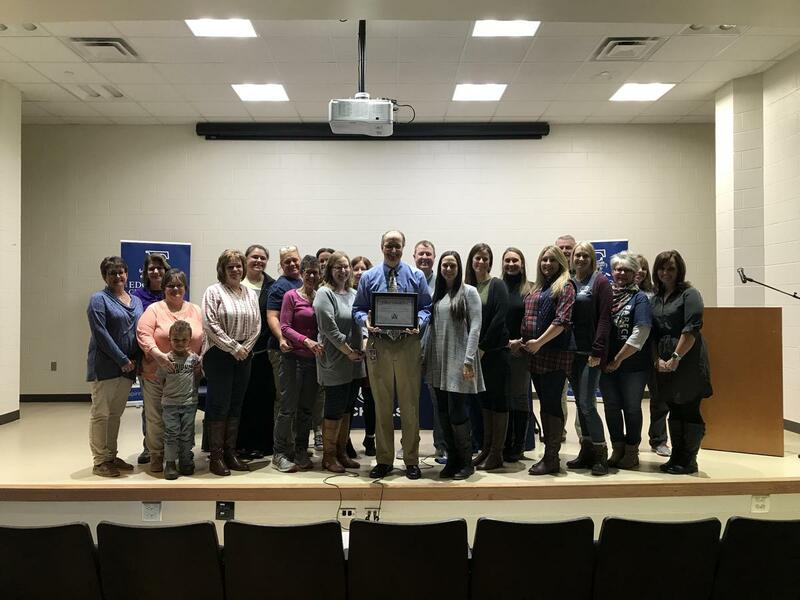 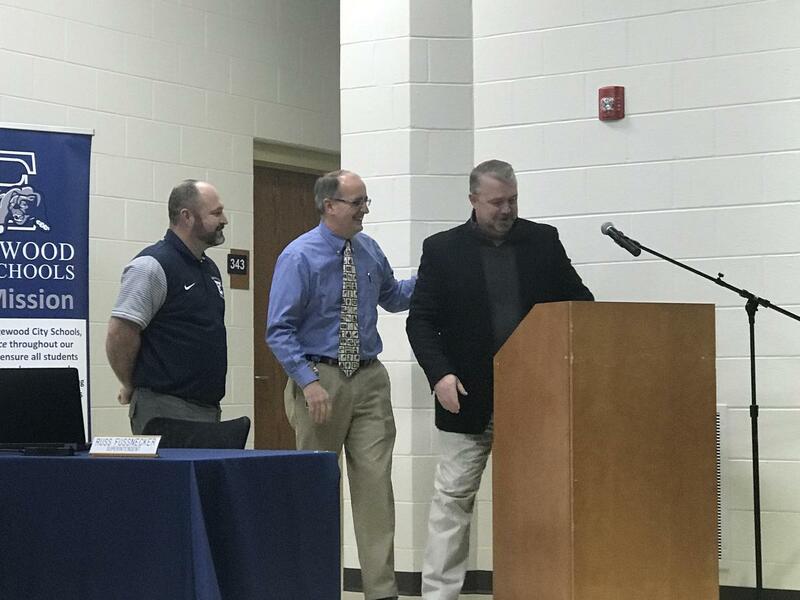 At the January 28th Board of Education meeting, Mr. Jeff Banks and the Babeck staff were recognized for receiving the 2018 "Overall A Award" from the Ohio State Board of Education! Mr. Russ Fussnecker and Mr. Gary Gabbard presented the award to Mr. Banks. 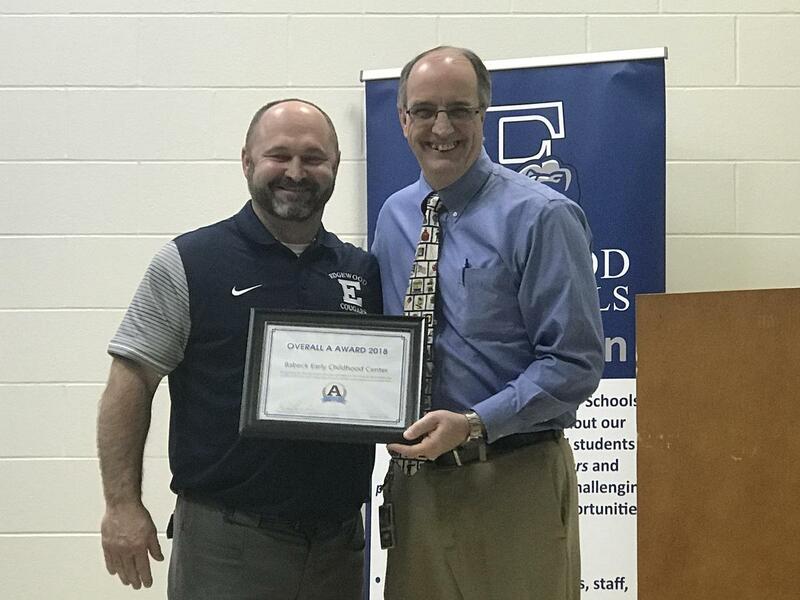 As an "Overall A Award" winner, Babeck's school's report card demonstrates this school's high academic performance and their focus on building bright futures for students of every background and ability level! Congratulations to the entire Babeck team on this impressive achievement!